If you are someone that only buys their apples in a supermarket, there is an apple secret out there that you may have missed out on. Apples can be red or pink on the inside. I love surprising people with these kinds of apples. People don’t expect to see the bright color on the inside. My 3 year old daughter was especially surprised, she loves pink! 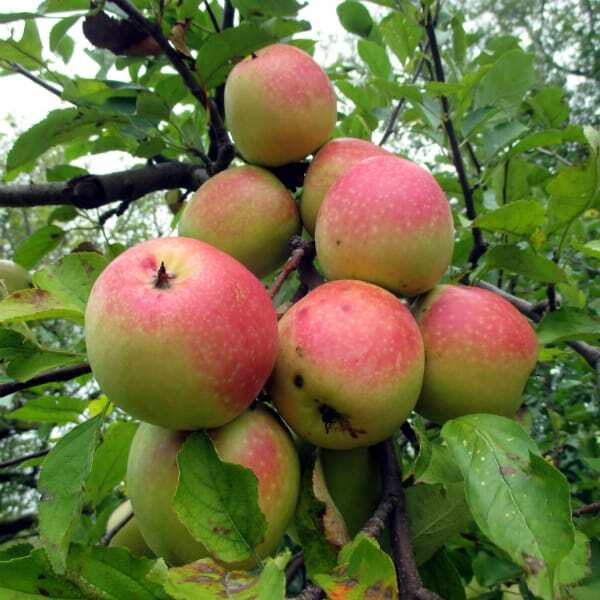 I have talked about a couple other red/pink flesh apples () before. Today I am going to talk about the Hidden Rose apple. 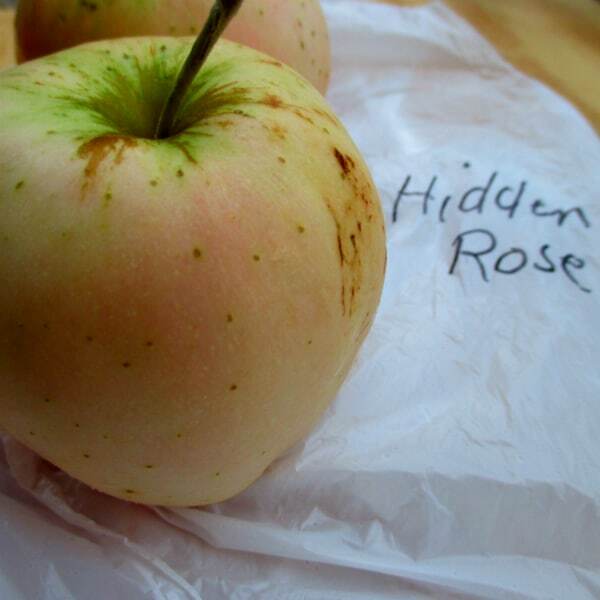 According to Specialty Produce, the Hidden Rose was discovered in the early 1960s. It was marketed to the public until the 1980s. It was originally called Newell-Kimzey, but changed to the trademarked name of Hidden Rose. The trademark is held by Dragonberry Produce of Clackamas, Oregon. The Hidden Rose apples they distribute as certified organic. You may also see it going by the name of Airlie Red Flesh, name after it’s city of origin. 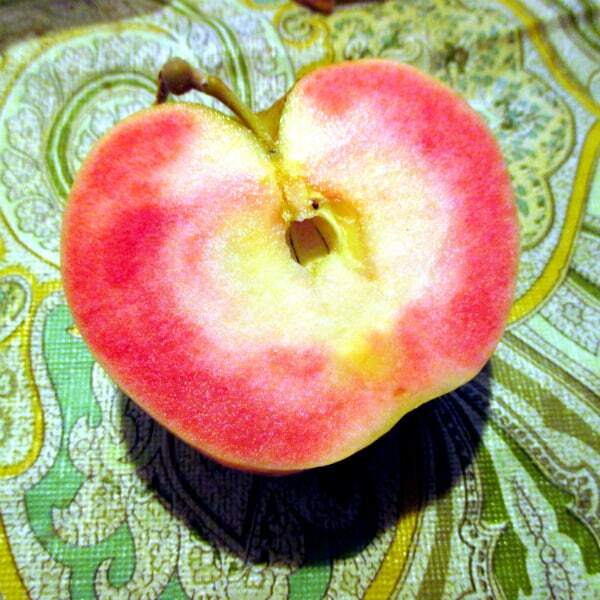 Hidden Rose is a perfect name for this apple. Most people would not expect to open it up and see the rose colored flesh. Although as someone who has eaten his share of apples, I can tell from the outside. The apple has a muted yellow color, it’s almost opaque. 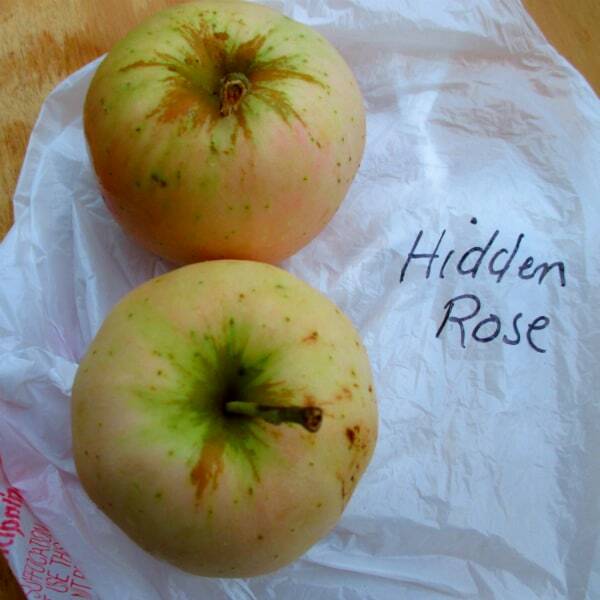 Hidden Rose is an apple for those that like to eat a more tart apple. It has just enough sweetness, but by no means is this a sweet apple. It’s crisp and juicy but not extremely juicy. It has a good, sharp flavor. My wife thought that this would make an excellent apple for dipping into peanut butter or your favorite nut butter. Hidden Rose would make a beautiful applesauce however it would be too tart for my taste without adding some sweetness.